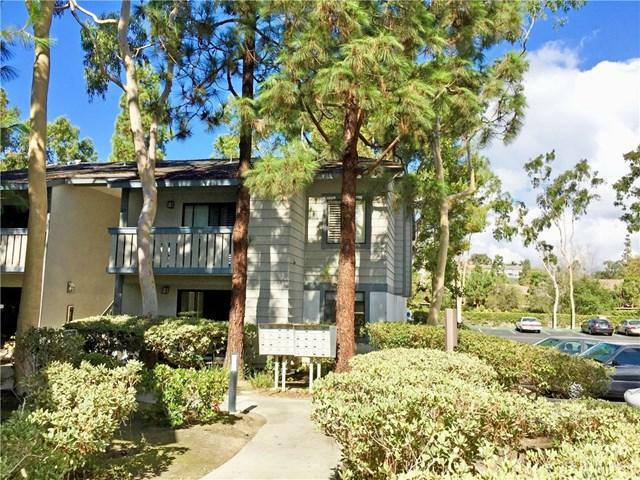 Vacation at home and enjoy the cool coastal breezes year round from this charming 1 bedroom Spinnaker Run condominium, located in beautiful Dana Point adjacent San Juan Creek. Hike/bike trails outside your front door provide a convenient pathway and are less than a mile to the beach and harbor. This nicely updated and professionally decorated corner location on the lower floor has granite counter tops in the kitchen and bathroom and a private patio with a private washer/dryer closet. The HOA includes the gated community, water, hot water, heat, sewer, trash, a pool, spa, sauna, laundry facilities and the beautifully landscaped grounds. Purchasing this home is a life style choice as Dana Point has a surf culture history with numberous local surf spots, boating, fishing, kayaking, sailing and beach activities minutes away... and for music lovers enjoy the Ohana Fest, Doheny Days and the Doheny Blues Festival. As the re-vitalization of the harbor and downtown of Dana Point are now well underway, the opportunities for world class shopping, dining and entertainment will continue to grow... an international vacation destination. Spinnaker Run is one of the most affordable beach close coastal communities in South Orange County. A nice bonus is the nearby Del Obispo community center that offers a playground tot lot, exercise circuit, tennis, handball and basketball courts, baseball fields, a large grassy area with picnic benches and a dog run. Sold by Neil Donovan of First Team Real Estate.